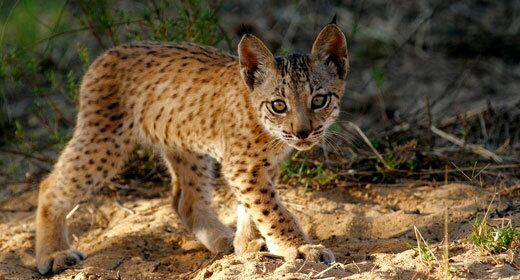 Today I want to write about a very special species of cat, the Iberian lynx. These beautiful cats grow up to 1 metre long. They mainly hunt at night and use their excellent eyesight to catch rabbits. If rabbit numbers are low, they will catch small deer and birds. Iberian lynx live by themselves and are very territorial. The males mark their territory by weeing on trees and rocks. At breeding time, the females give birth to 1-4 kittens. The kittens become independent after about 10 months and live in the same territory for about 20 months. Iberian lynx live in open woodland, scrub and thickets in south western Spain. They are the most endangered species of cat in the world, with only a few hundred left in the wild. They are impacted by drops in the numbers of rabbits, habitat loss and hunting. Are there any other interesting facts that you would like to share about Iberian lynx?